DEWALT Compact Drill Driver Just $99! Down From 169! PLUS FREE Shipping! You are here: Home / Great Deals / DEWALT Compact Drill Driver Just $99! Down From 169! PLUS FREE Shipping! Amazon is currently offering this DEWALT Compact Drill Driver for just $99 down from $169 PLUS FREE shipping! 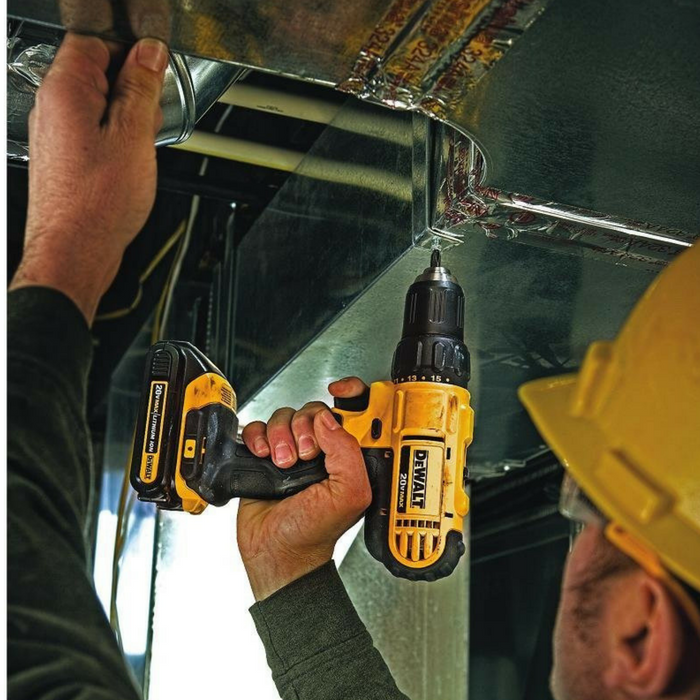 The DEWALT 20V Max Lithium Ion Compact Drill/Driver Kit is lightweight and compact for working in tight spaces for long periods of time. High-speed transmission delivers 2-Speed variations allowing users to choose the level of performance needed for various applications. Compact (7.52″ front to back), lightweight (2.5 lbs) design fits into tight areas. No load speed: 0-500 / 0-1,750.